Hurling anoraks are always on the lookout for something unique but intrigue invariably defines that search. Limerick-Kilkenny is the standout game of the upcoming hurling weekend but the game in Páirc Uí Rinn on Saturday is made for the connoisseur. And it’s not Cork versus Clare. Up to 5,000 people are expected to descend on the venue earlier in the day for the Dr Harty Cup final between Midleton CBS and Christian Brothers College (CBC). It’s the first all-Cork Harty final since 1994, when North Monastery defeated Midleton, but this has a whole different feel with CBC’s presence. Because the school at the top of Sidney Hill is a traditional rugby powerhouse. Joint top of the Munster Schools Rugby Senior Cup with 29 titles, CBC play in a first Harty final for 101 years on Saturday. It’s a unique story but CBC have managed to become a serious force in the Harty Cup. In the past, it would have been more unrealistic than idealistic to believe that CBC could be as strong at hurling as rugby but a number of factors contributed to that culture change. After decades in the hurling wastelands, hurling finally came back on the radar again in the school 20 years ago. CBC always had students from strong hurling areas, many of whom never played rugby, but who were still looking to play hurling at a high level. When the principal, Dr Larry Jordan, began to increase that option, the CBC project gradually began to gather momentum. It soon became obvious in the Lord Mayor’s Cup — a Cork tournament aimed at ‘non-traditional’ GAA schools — and in provincial ‘B’ competitions. The first significant breakthrough came in 2015 when CBC won the Cork Colleges U14A title. When CBC took the decision the following year to re-enter the Harty, their win against CBS High School Clonmel was their first in the competition in 97 years. They reached the quarter-finals in 2016 and 2017 before making it to the semi-final last year, when they lost out to Ardscoil Rís from Limerick. When CBC defeated Thurles CBS in last month’s semi-final, it secured their passage to a first final since 1918. The project has been driven by Donal O’Mahony, current Cork senior coach and selector, and Tony Wall. CBC are not popular on the colleges’ scene in Cork but their emergence has reflected the increasing underage potential and spread in Cork hurling this decade. Old powerhouses like St Finbarr’s Farranferris are no longer around but a whole new colleges culture has grown around the county. When there were 18 schools in the Harty Cup in 2015, eight were from Cork. Cork had the highest representation in last year’s competition with five. That number dropped to four this year but Cork still had the highest representation in the 13-team competition. That expansion is also evident in the B decider, which precedes Saturday’s Harty final, when St Francis College Rochestown take on Hamilton High School Bandon. Rochestown narrowly defeated Charleville CBS in the semi-final. Cork colleges have won more Harty titles (40) than any other county but the days of dominance from North Mon, St Colman’s and Farranferris have long passed and it’s been 13 years now since a Cork side won the title. Since Midleton’s last success in 2006, the whole Harty landscape has radically changed. Apart from Thurles CBS and Our Lady’s Templemore, the other winners in the meantime – De la Salle, Ardscoil Ris (Nenagh CBS won the All-Ireland through the back door) and Dungarvan Colleges (formerly Colaiste na nDeise) – were all breakthrough winners. That new colleges culture has also been transparent on the inter-county scene. The De la Salle side which won their second Croke Cup in succession in 2008 – with both teams coached and managed by Derek McGrath - contained six of the Waterford side which started the 2017 All-Ireland final; Stephen O’Keeffe, Barry Coughlan, Noel Connors, Philip and Pauric Mahony and Jake Dillon. The Dungarvan Colleges side which won the 2013 Croke Cup was driven by Tom Devine Tadgh de Burca, Colin Dunford and Patrick Curran. In the past, De la Salle would have had more of a name as a football college but they have radically altered their history. So have Ardscoil Rís who have now established a massive hurling culture in a school which was historically a rugby stronghold. Ardscoil have become a hurling institution, winning five of the nine Harty titles on offer this decade. A Croke Cup (All-Ireland) has always been viewed as the school’s destiny but Ardscoil have fallen at the hands of St Kieran’s in each of those seasons – 2010, 2011, 2014, 2016 and 2018. And that Ardscoil-Kieran’s rivalry will always form a huge motivation for so many of those Limerick players whenever they face Kilkenny. Three of those five defeats came in finals but Kieran’s won the All-Ireland in each of those five seasons they took out Ardscoil, all of which were narrow wins. The heartbreak has been all the more acute for Ardscoil considering that Munster schools have won three All-Irelands (Dungarvan Colleges, Nenagh CBS and Our Lady’s Templemore) in three of those four seasons that Ardscoil didn’t win the Harty title this decade. Ardscoil just haven’t been able to crack Kieran’s. 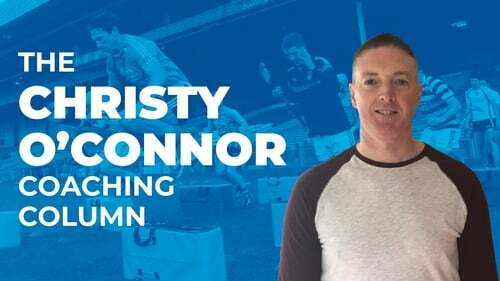 They were Harty champions in 2014 and 2018 when Kieran’s came through the back door – having failed to win the Leinster title – to beat the Limerick school. And Ardscoil were installed as favourites for the All-Ireland last February when they hammered a highly rated Midleton CBS in the Harty final by 11 points. Ardscoil scored 3-18 in that decider. St Kieran’s only hit 1-11 in their Leinster final defeat to Dublin North. Kieran’s scraped over the line against Gort in the All-Ireland quarter-final but their performance rose to new levels in the semi-final when beating Ardscoil. Again. And Kieran’s went on to win the All-Ireland. Again. A clear rivalry between the schools has developed, albeit its one which has been dominated by Kieran’s, but the strong link between those colleges’ games was fully evident in last year’s Kilkenny-Limerick All-Ireland quarter-final. From those four colleges’ meetings between 2010-’16, 13 players featured in that quarter-final; Peter and Mikey Casey, Declan Hannon, Shane Dowling, Cian Lynch, Aaron Gillane (Limerick); Cillian Buckley, Padraig Walsh, Rob Lennon, James Maher, Liam Blanchfield, Martin Keoghan and Billy Ryan (Kilkenny). Ardscoil have been desperate to succeed at a level which is just the norm for St Kieran’s. They top the All-Ireland roll of honour with 22 titles but their dominance has been unprecedented during this decade with six titles – 2010, 2011, 2014, 2015, 2016, 2018. Kilkenny may no longer be gobbling up All-Irelands at every level but Kieran’s have never been as dominant and their former players will play a key role in driving Kilkenny forward in the coming years. Many of Limerick’s current best players came off those Ardscoil teams. And anytime Limerick meet Kilkenny, those players will always be driven by some form of atonement for all the pain inflicted by St Kieran’s. Is a sweeper system the only way to stop Limerick?